The good folks behind Valley Shepherd Creamery have opened a “farm to table” grilled cheese shop in Park Slope. Homemade cheese, tasty bread, what’s not to like? 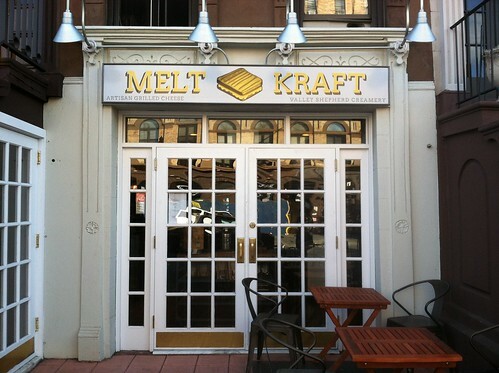 I happened to by The Melt Kraft about an hour after they opened on their very first day. It was the first I had noticed that something was taking over the old Almondine space. While I didn’t have time for a grilled cheese, I’ve vowed to go back. Brooklyn Based has an early look. I can say that their pantry selection is pretty awesome—they carry a bunch of artisanal ice creams like Jeni’s, Phebe and Phin and Steve’s. I couldn’t resist picking up a Zimmerman’s Zzang! Bar for my brother. 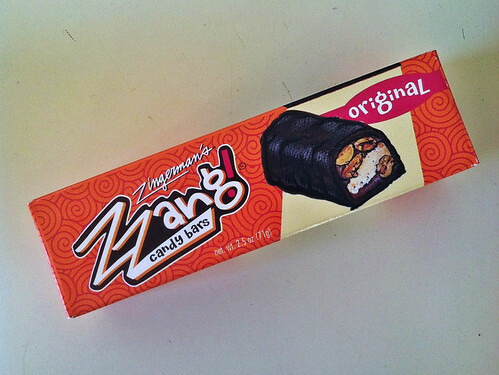 For those of you unfamiliar with Zzang! it’s like everything a Snickers bar wants to be when it grows up. Right now they’re running a pre-Halloween special on the Zzang! bars. The bars are $5, down from their normal $6. Pretty spendy for some chocolate. But if you’re a big candy bar fan, it’s totally worth the splurge.